The first FAVORITE THING that I’m going to share with you is an awesome reading app for iOS devices. This app is a must-have for kindergarten teachers and for 1st grade teachers at the beginning of the year. Kindergarten teachers, this is a great resource for the classroom or to recommend to parents. It has 20 little stories that each feature a word family. It also features sight words that students should be learning at this level. I love the option to click on the word and hear it. This really helps the students improve their skills and practice new words. First grade teachers, remember those first few weeks of school when it seems like your students didn’t even go to kindergarten. They’ve forgotten how to form letters and they definitely can’t remember the sound each vowel makes. My phonics curriculum assumes that they remember all of this like it was yesterday. So, it does a quick 2 page review of short vowel sounds and then jumps right to the long vowel sounds. What?? Welcome to reality! I have to pause the curriculum and spend a few weeks of solid short vowel instruction. This is a GREAT time to utilize the Rhyme to Read app! It will give your students extra practice and build their confidence as beginner readers. There is even a sale going on right now! It is only $4.99. You can find it here in the app store. My second FAVORITE THING to share with you – binder rings! These things are so great to keep little cards together. 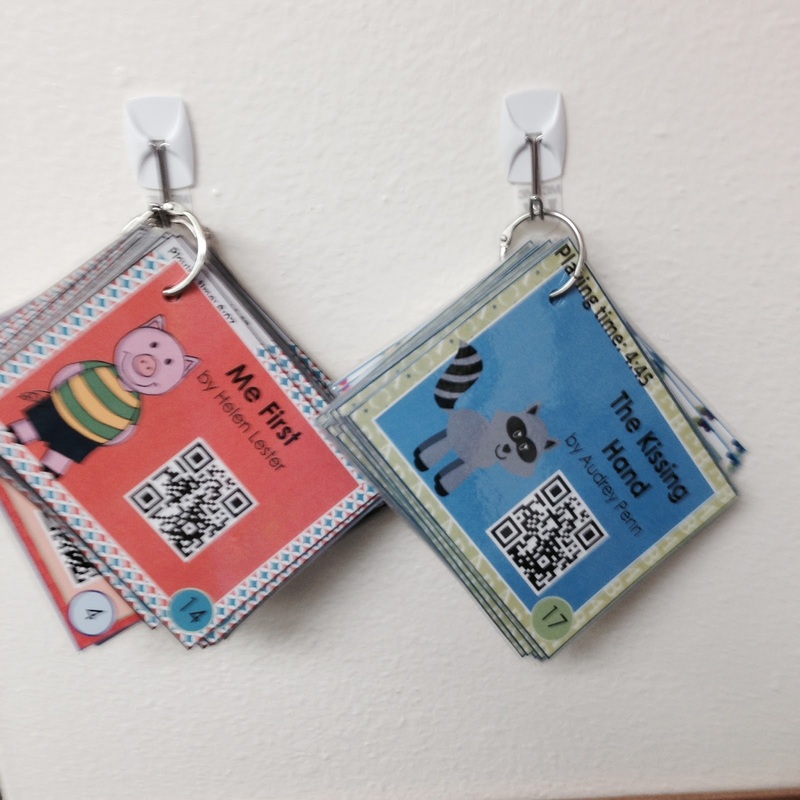 I’ve used them to organize sight words, spelling word lists (keep the list with your word work centers), QR code stories and more! Here they are holding together sets of QR code stories. 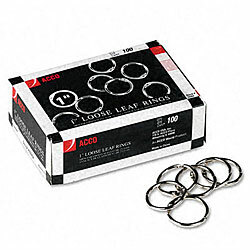 I’ve purchased these rings at Amazon and Staples. It is so nice to have a big box of them. I’ve found them at Wal-Mart, but they are usually different sized rings and many different colors. I’ve also used them to make “books” using multiple sheet protectors and some of these rings. I mentioned QR code stories. Do you know what those are? Students scan a QR code that has been programmed to play a video when scanned. I have many of these sets in my TPT store. My codes use safeshare.tv links so that when a video plays the students don’t see other youtube videos that are around that one or any comments. The videos are all of someone reading a book. Many times the video shows the pages of the book (pictures and text) so that the student can follow along as they listen to the book. These are great for Daily 5 rotations (listen to reading). 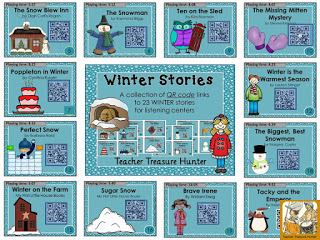 Here is a picture preview of the Winter Stories QR code collection. My 3rd FAVORITE THING is apple cider! I have had this love/hate relationship with apple cider in the past. I always think it sounds like a wonderful idea. I worked in a restaurant when I was a teen and loved making hot apple cider there for a treat on a cold day. So, I buy a box of the single serve packets. I might even make a packet. It just tastes OK. The box of cider packets just sits in my pantry until it is eventually thrown away. The next winter this process is repeated. 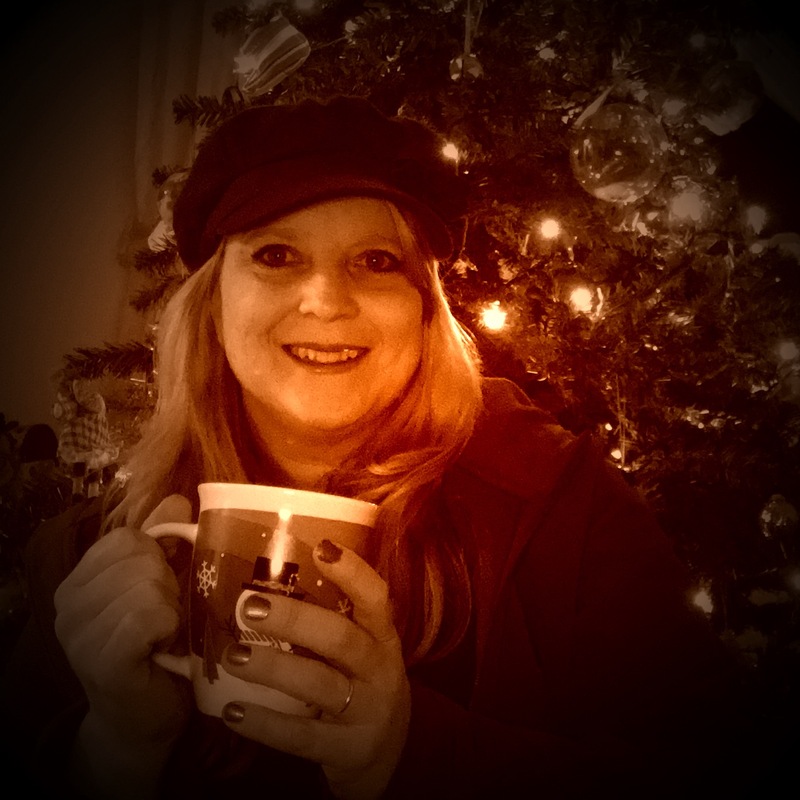 This year, I passed by a box of K-Cups of Apple Cider and it sounded so good. I thought it might be a repeat of my previous experiences, but decided to just give it a try. I loved it! I don’t know why it would taste so much better than the packets. Hotter water? Better ratio of water to cider? More evenly mixed? I don’t know. 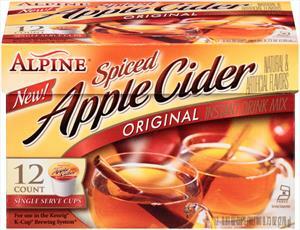 I just know it is totally worth it to buy the K-Cup versions of this cider! I use 8 oz. of water. I am so happy to have finally found a delicious apple cider! Thanks for joining us to hear about our favorite things. Now, on to even better stuff – great prizes to win!! « Holiday Cookie Hop 2015 & FREEBIE!